Tyler Jacks has pioneered the use of gene targeting technology in the mouse to study cancer-associated genes and to construct mouse models of many human cancer types, including cancers of the lung, brain and ovary. His laboratory has made seminal contributions to the understanding of the effects of mutations of several common cancer-associated genes. This research has led to novel insights into tumor development, normal development and other cellular processes, as well as new strategies for cancer detection and treatment. Dr Jacks is the director of the Koch Institute for Integrative Cancer Research at MIT. He received his BA in biology from Harvard College in 1983. His PhD thesis was performed with Harold Varmus at the University of California, San Francisco. He was a post-doctoral fellow with Robert Weinberg at the Whitehead Institute at MIT and joined the faculty at MIT in 1992. Dr Jacks has published more than 200 scientific papers; he has served on the Board of Scientific Advisors of the National Cancer Institute (NCI) and the Board of Directors of the American Association of Cancer Research (AACR). He is also a past president of the AACR, and the current chair of the National Cancer Advisory Board. Dr Jacks serves as an advisor to several biotechnology and pharmaceutical companies, and he is currently a member of the Board of Directors of Thermo Fisher Scientific and Amgen. He was a Merck Fellow of the Helen Hay Whitney Foundation, a Markey and a Searle Scholar and is currently a Daniel K Ludwig Scholar in Cancer Research and the David H Koch Professor of Biology. 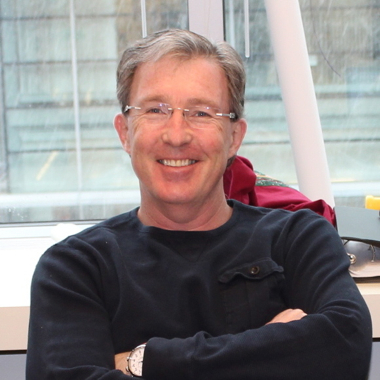 In recognition of his contributions to the study of cancer genetics, D. Jacks received the AACR Outstanding Achievement Award and the Amgen Award from the American Society of Biochemistry and Molecular Biology, the Chestnut Hill Award for Excellence in Medical Research, the Paul Marks Prize for Cancer Research and was named a member of MGH Cancer Center’s 2013 One Hundred. He was elected to both the National Academy of Sciences and the Institute of Medicine of the National Academies in 2009, as well as the American Academy of Arts and Sciences in 2012 and the inaugural class of Fellows of the AACR Academy in 2013.